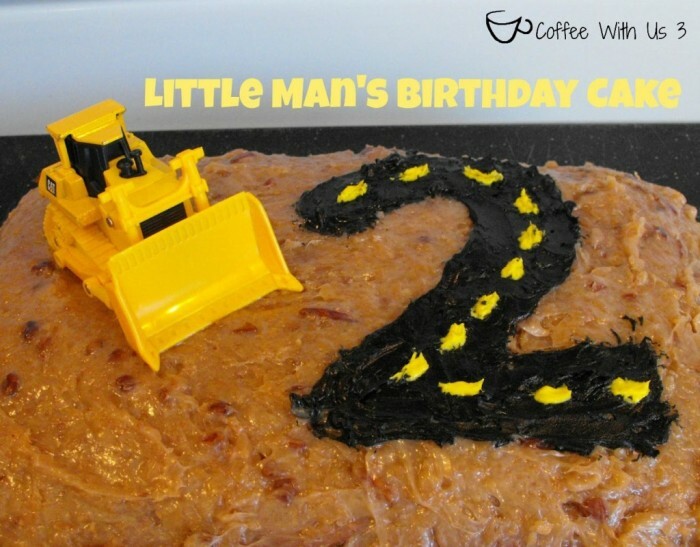 We are continuing birthday celebrations here at The Love Nerds with an easy and adorable Construction Birthday Cake from Coffee With Us 3! It can be a lot of fun decorating for birthdays and special events, but it can also become overwhelming. Some of the decor ideas out there are so extravagant. I mean, Pinterest is great, but it has also pushed many of us to the edge. I don’t think anyone should spend hours making decorative treat bags for little kids when they will only be thrown away. So I REALLY love this cake design that my friend Becky at Coffee With Us 3 made for her son! It is really cute with the little construction vehicle and the “road” number. The process is also pretty simple, especially with her smart choice of frosting! Also, don’t forget to connect with me below and enter the $250 PayPal Cash Giveaway in honor of our 1st Bloggy Birthday.